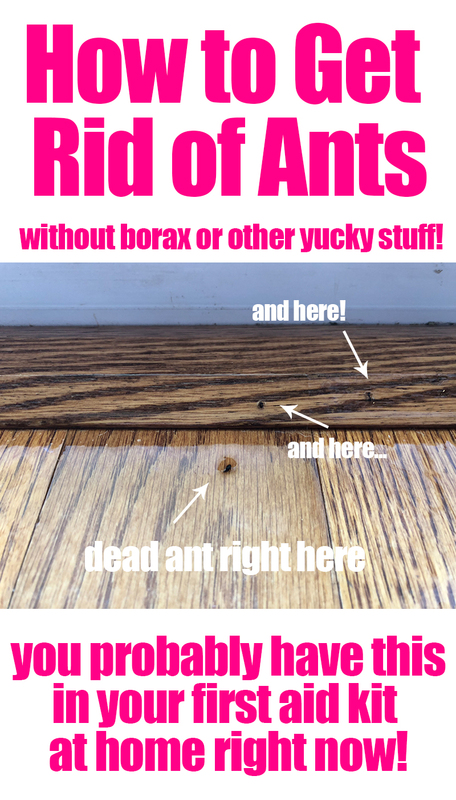 How to Get Rid of Ants - the most surprising way ever! 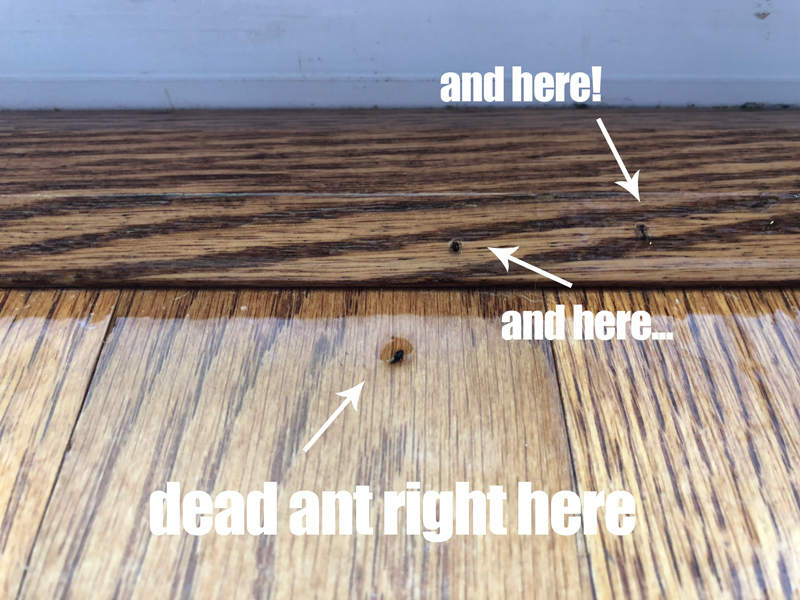 How to Get Rid of Ants – the most surprising way ever! Go away. Find sugar somewhere else. We don’t want you here. I tried to write a letter to the ants, but unfortunately it was returned postage due. Also, ants can’t read. However, being a human being with a pretty sneaky brain, I showed them. I mean, they think they can just march in two by two and take my crumbs? Think again ants. Those are our crumbs and you can’t have them. But what did I discover? About three years ago, I wrote this post about all natural ant killers which are great, mind you. How to get rid of ants naturally is the best way if ever there was a way. But before I could embark on a big experiment, I made a remarkable discovery. And it came about one day when I was cleaning my granite countertops. 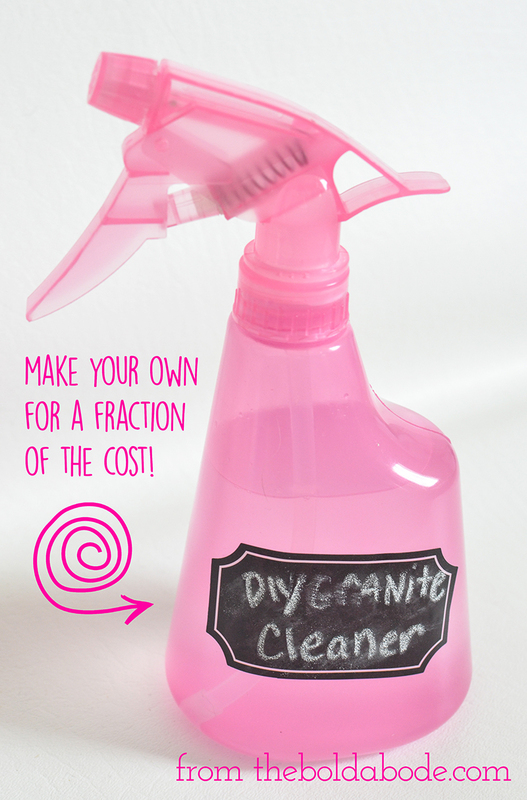 We had a few ants sneaking in and in my disgust, I quickly sprayed them with my DIY granite cleaner. What do you know but that after a minute or two, those little critters curled up and died. DIED. Right before my very eyes. Seriously amazing, this killing ants indoors like this! I mean, it’s so super gross finding tiny black ants in the kitchen! What’s in the granite cleaner that would do this? And maybe the lavender and peppermint essential oils. I don’t know. And who cares? Use them both. It will smell really good and your ants will be pushing up daisies. If that’s not a win/win situation, i don’t know what the heck is. Ok. So I just asked my husband, Morgan, about it and he said that the alcohol basically freezes the ants. Crazy, huh? I don’t like to use pesticides, so I just keep a bottle of the granite cleaner ready for any little invaders that sneak past our home barriers. I spray it on them outside too and buh-bye ants. It’s like a true blue miracle, my bold ones! It fills me with all kinds of wonder that something so innocuous would work on something so frustrating. Think of all the ant killer chemicals out there full of toxic junk when all you need is rubbing alcohol. Geez. I feel like I’ve uncovered some sort of classified secret on how to get rid of ants. Have you ever heard of using isopropyl alcohol?